During the hot summer months few things can bring a vehicle in faster than a malfunctioning air conditioning system. When you first notice lower performance out of your A/C system, it’s time to have our ASE Certified technicians diagnose the issue. Our testing process utilizes ultraviolet lubricants to detect minute leaks, maximizing accuracy and efficiency while minimizing downtime. Whether it’s the dead of winter or the searing summer heat, your engine could face trouble if it is not performing at its optimal temperature. Luckily, it is protected year round by antifreeze and your coolant system. Due to the extreme temperatures your engine produces your coolant system requires servicing at least every two years to ensure optimal operation and engine protection. However, you cannot pour in any type of antifreeze as each vehicle requires a specific kind and using the wrong type could severely damage your vehicle. Our ASE Certified technicians will inspect your coolant system and perform a coolant system fluid exchange, replenishing the system with the precise antifreeze your vehicle needs to keep the engine protected. If your vehicle is registered in North Carolina, your vehicle requires a State Inspection for Safety and Emissions each year before you renew your tag. While all vehicles require the Safety Inspection, there are some exemptions for the Emissions test: motor homes, motorcycles, non-gasoline powered vehicles, vehicles registered in certain counties, and any vehicles made within three model years of the current year or older than 1995. Today’s vehicles are just about more computer than machine. From the displays you can see to the digital regulators and electric brakes you cannot see, the wrong battery can cause problems due to insufficient voltage or reserve capacity. The most common indication it is time for a new battery is if the car takes a while to start or will not start at all. Our ASE Certified technicians can test your battery and, if needed, install a new battery offering a minimum 2 year national warranty. The check engine light can represent a vast number of different complications. From a loose gas cap to a malfunctioning engine cylinder, this little light is the vehicle telling you it needs to be looked at by professionals. When the code is pulled it will tell you the area of the vehicle which caused the engine light to illuminate, however, it does not explain what is wrong with this area of your vehicle. Our ASE Certified technicians follow the code all the way to the source and fix the problem, saving you time and money. Our 3,000 mile service has always been key for a long lasting engine, but we don’t stop there! Not only do we offer Mobil Oil products for every engine, we are now proud to offer additional oil treatments to improve the efficiency and effectiveness of your engine oil. As one of the largest and most important investments for your vehicle, your tires represent an extremely important part of your vehicle’s maintenance. Our professional service advisors will help you select the right tire for your vehicle, driving needs, and budget. We supply the premier Michelin and BFGoodrich brands, as well as a number of other brands to best suit your needs! Available with all tire purchases is a Protection Plus Nationwide Road Hazard Warranty Program, covering damage incurred through punctures or regular wear and tear. By joining this program, you can rest easy knowing your financial investment is insured against punctures and other damage tires can often face. Prolonging the life of your tires is as easy as asking us to check your alignment. As you drive your vehicle on the road, the bumps, potholes, and uneven road surfaces cause your tires to wear faster and unevenly. This increased wear decreases the life of your tires. An unaligned car not only chews through tires, but it can cause your vehicle to pull left or right while driving. Our ASE Certified technicians can help you maintain the full life of your tires and ensure your vehicle stays straight as an arrow as you travel down the road! Driving is fun, but everyone wants and needs to stop at some point. It’s not hard to imagine the consequences of having worn or faulty brakes. Mushy brakes, longer braking time, vibrations, or metal on metal sounds while braking are just a few signs your brakes need to be checked. Your safety is our priority, so we always check your brakes and can replace them when necessary, to ensure you can stop when needed. We have a location that specializes in maintenance and repairs of fine European automobiles; Mercedes, BMW, Volkswagen, Ferrari, Porsche, Audi, Jaguar and Volvo and is conveniently located in the Downtown area. Our European auto repair location has in addition to all of our regular auto repair services, we have the Autologic diagnostic equipment, Beissbarth wheel alignments, performance tuning and this location is in the Bosch Service network. Keep your vehicle running like new with proper maintenance through our cost saving car servicing. We're helpful & friendly in giving the options you want to make preventative maintenance affordable & easy. Because of our expertise & equipment, the only time you should need to return to the dealer is when there is a recall, or to trade in your vehicle. The law says you may take your car to any qualified shop for required maintenance. Save time, save money & make your life easier, by using our fast, friendly service for your car to stay running like new. We understand the critical importance of maintaining proper maintenance records and keeping your vehicles on the road. Our unique software program allows you to view your records online and our professionals can help keep your company vehicles on the road, reliably serving your customers! When your car breaks down on the side of the road we know there are many things you could be worried about. Let us take some of that worry off of you! When you call us we can quickly arrange for a tow truck to come by and bring your vehicle to one of our stores. After hours, please call American Towing at (704) 634-8416 and ask them to bring your vehicle to our closest location. Woodie's is proud to offer a nationwide warranty covering all parts and labor for 36 months or 36,000 miles on qualifying repairs. 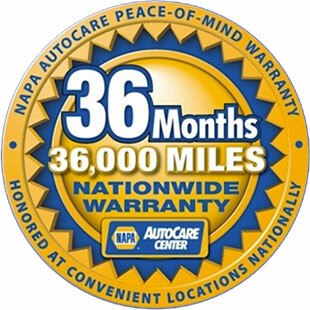 This warranty is honored at more than 13,000 locations nationwide. If you are having a problem while on the road, and are too far away from one of our stores, you can click here to find the closest Warranty Center. We understand the need and urgency to keep your fleet on the road and operating safely. During each visit, we will perform a 28-point inspection detailing the condition of your vehicle. This inspection allows you to make the best decisions concerning your fleets maintenance and repairs. Our unique software program allows you to view your records online and our professionals can help keep your company vehicles on the road, reliably serving your customers! 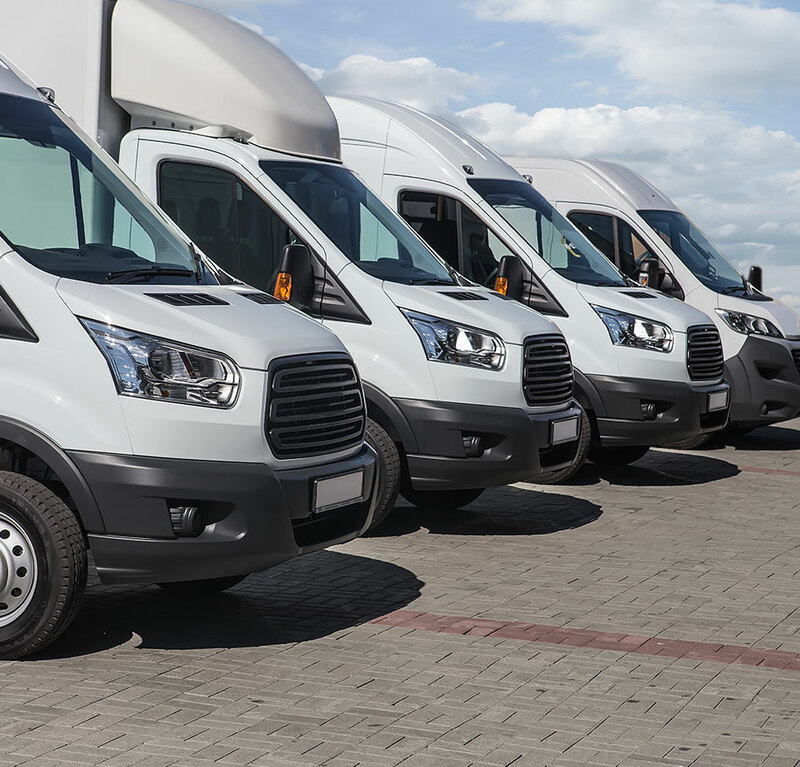 Whether you have a single vehicle or several hundred, we can assist you in maintaining your fleet and keeping your repair cost down. WE PROUDLY SERVICE: Element Fleet Management, Fuelman, GE Fleet, PHH, PHH Arval, Enterprise, Enterprise Fleet, ARI, Voyager, Wheels; ALD Automotive, MAP and Maintenance Assistance Programs.